If you’re in the market for a gut-buster of a hangover cure, look no further than the Open-Faced Ribeye Sandwich at this contemporary Los Angeles steakhouse. 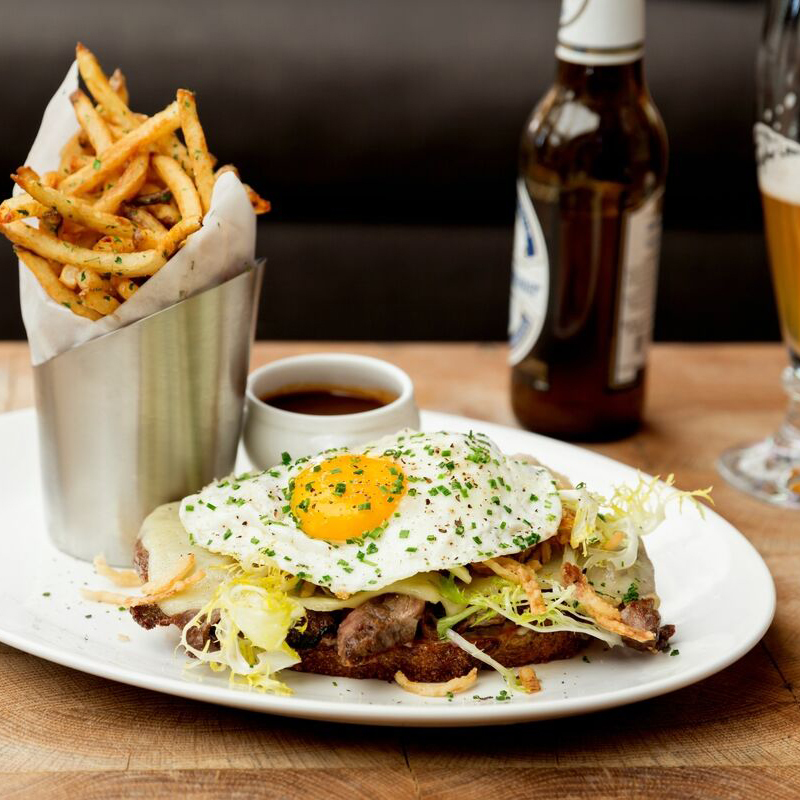 What: If you’re in the market for a gut-buster of a hangover cure, look no further than the Open-Faced Ribeye Sandwich at this contemporary L.A. steakhouse. Two pieces of rosemary bread get slathered with garlic aioli, then topped with ribeye slices marinated in beef tallow(! ), followed by melted fontina cheese and, since we’re talking brunch here, a sunny side egg to top it off. Just in case this sandwich wasn’t indulgent enough. Wash it down with: The “Santa Monica Sunset,” halfway between a margarita and a shandy, with reposado tequila, Aperol, lime, agave, and Allagash White. Related: THE BEST HANGOVER CURES IN THE U.S.